"I often believe I became a chef as a means of escaping the restraints of my Orthodox Jewish upbringing. This project has allowed me to come full circle. As a chef, it’s been really stimulating working within the limitations of kosher … exploring the traditions of kosher cooking across the globe, and learning about the incredible variety of foods that have their roots in Jewish cuisine." In her long career as a groundbreaking chef, Aliza Green has learned how to prepare and cook everything from sea urchins to wild boar, under the tutelage of such legends as Italy’s Marcella Hazan and as part of Philadelphia’s restaurant renaissance. In recent years, however, she has found herself increasingly fascinated by her own Jewish heritage. Green spent her childhood in Washington, DC attending religious day school and visiting her large “black hat” family in Brooklyn’s Hasidic Borough Park section. She learned Hebrew while living with her family in Israel (one of many exotic locales to which the family traveled). Recently Green found herself, figuratively, back home, developing the menu, concept, and recipes for Max and David’s, a kosher restaurant in Elkins Park. 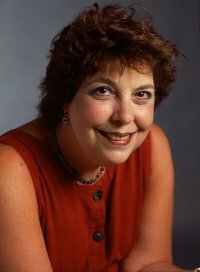 A renowned cookbook author, food consultant, and pioneering chef, Green drew upon the research for her books – which opened her eyes to the prominence of Jewish history, trading, and traditions in the foods of Jews and non-Jews worldwide – to create an inspired, varied, delicious and imaginative menu that will surprise those whose only experience with kosher cuisine is traditional. While Chopped Chicken Livers with Caramelized Onions and Homemade Pastrami are on the menu, so are Cuban Black Bean Soup with Sofrito, Turkish Mini Meatballs with Pomegranate, and Sfratti, a special honey-walnut stick-shaped cookie from the Italki-Jewish heritage of Pitigliano, Italy, which she visited last year. Green cites her childhood, which she spent traveling and living abroad, as the inspiration for her culinary pursuits. She regularly makes pilgrimages abroad to work with chefs, writers and townspeople to learn firsthand about authentic, international cuisine. Green tested more than 250 recipes – many from pilgrimages to Turkey, Greece, Italy, and the Caribbean -- for Max & David’s menu. In 2008, she will be collecting additional recipes in Israel with Max & David’s owner Steven Katz. Green has previously developed menus for the Omni Hotel at Independence Park, Dock Street Brewing Company and Parma by Gabe Marabella. She is currently working on her tenth cookbook. Green’s first cookbook was co-authored with Philadelphia’s highly-acclaimed, four-star French chef, Georges Perrier. Her authoritative and delicious Beans: More than 200 Delicious, Wholesome Recipes from Around the World (Running Press, Fall 2004) was named by The New York Times as one of the top cookbooks of the year.¡Ceviche! : Seafood, Salads, and Cocktails With a Latino Twist (Running Press 2001), a book she co-authored with star chef Guillermo Pernot, received a James Beard Award for “Best Single Subject Cookbook” in 2001. Her Field Guide to Produce (Quirk Books 2004), along with subsequent Field Guides to Meat, Herbs & Spices; and Fish & Seafood have won critical praise from such publications as New York Times, Food & Wine, Real Simple Newsday, Men’s Health, and Shape and are top sellers nationwide. Her masterly 550-recipe cookbook Starting with Ingredients: Quintessential Recipes for the Way We Really Cook was published to outstanding reviews in the fall of 2006. Before her career as a cookbook author, Green wrote popular weekly food columns for both The Philadelphia Inquirer and The Philadelphia Daily News. Her articles have appeared in Fine Cooking, Prevention, IACP Food Forum, Philadelphia Magazine, and The National Culinary Review. Green has appeared twice on NBC’s Today Show, as well as on myriad other national and local television programs. As one of the pioneer chefs who helped make the city of Philadelphia a dining destination, Green began her career in the mid-1970's. Her culinary achievements as Executive Chef at the renowned Ristorante DiLullo, landed the restaurant a prestigious four-star rating. In 1988, The Philadelphia Inquirer inducted Chef Green into its Culinary Hall of Fame, citing her as one of the ten most influential people in the city's food industry for her uncompromising efforts at Ristorante DiLullo, Apropos Bistro, and the White Dog Café. As local chair of The American Institute of Wine & Food, Green collaborated with the legendary Julia Child..
Green resides in Elkins Park, PA with her husband and two children, in a home whose kitchen (designed by her architect husband, Donald Reiff) is truly its heart.